Girl In The Woods Reviews: How do you say it?! This is my second discussion post and I decided to make it a weekly thing (yay!) since the first one seemed to strike well with my followers. Names: how do you pronounce them? If you've never done that, I believe it's am indication that you haven't been reading enough, or I'm just really bad at figuring how to pronounce names. Me: OK OK, you win!!! The worst thing is when a book is filled with weird looking names. 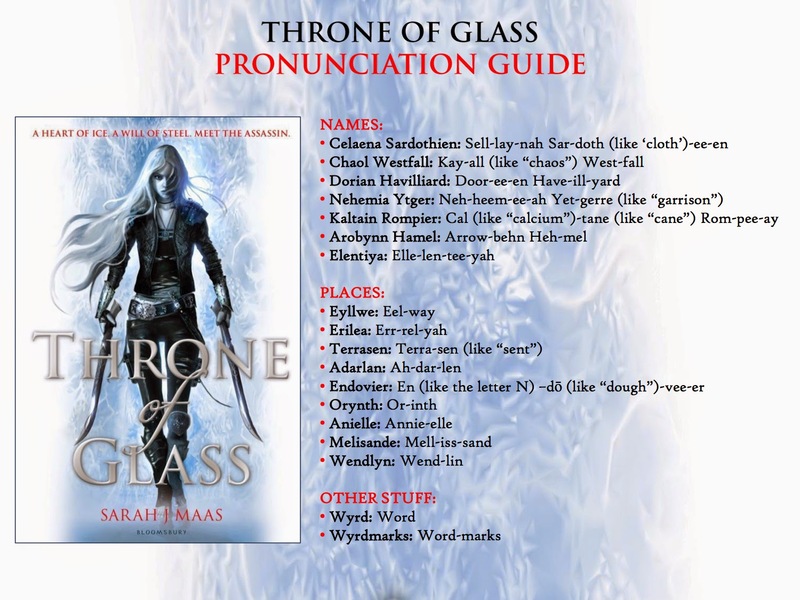 Throne of Glass, I'm talking about you!!! How do you even pronounce Celaena Sardothien? And Ellywe? Eltentiya? I loved this book, but these unique names sure have my head pounding at times. Thank god for this useful pronunciation guide!! That's all for today!!! What about you? Do you find trouble saying characters' names when you read?